I Love Jesus black and gold scarves with hearts. 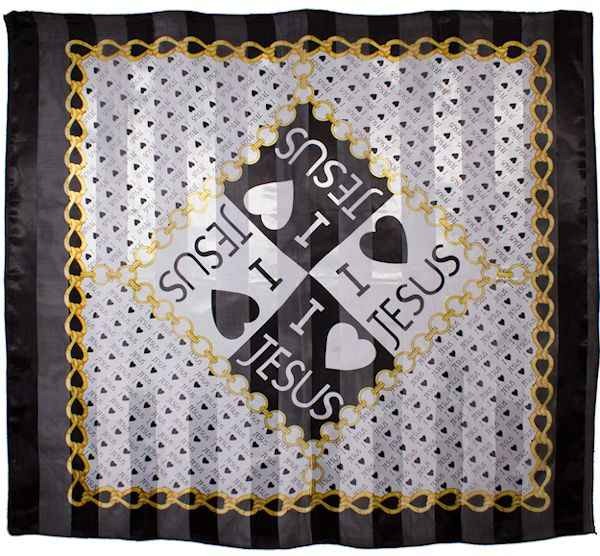 Scarf measures 38 x 38 inches and is great for choirs or retreats. 100% Silk Feel but made of Polyester. These scarves make a nice gift or lap scarf. Scarf, Shawl, Bandana, Head-wrap. 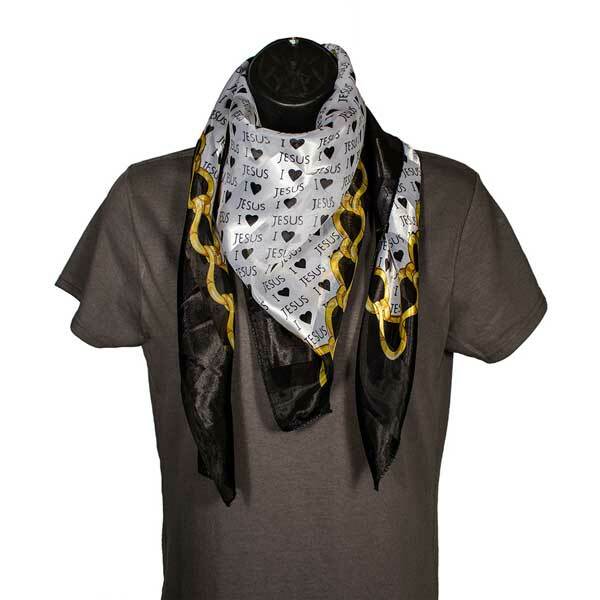 Square Scarf Also available in black, gold, blue, red.